The Engineering Council holds details of degree programmes that partially or fully satisfy the education requirement for IEng and CEng registration. Please read the important explanatory notes below before starting your course search. Accredited engineering degrees offer students, their parents and advisors, and employers a mark of assurance that the degree programme meets the standards defined and set by the engineering profession. They also provide confidence that some or all of the underpinning knowledge, understanding and skills for eventual registration with a licensed professional engineering institution have been met. Engineering employers as well as academics are involved in the setting of standards, in reviewing degrees and in the decision-making process about whether to confer accredited degree status. The engineering degrees listed on this database have been accredited by one or more of the professional engineering institutions. The period of accreditation is normally five years and, except where otherwise stated, the dates apply to the intake year, ie the year of enrolment on a degree programme. Accredited status is subject to periodic review normally every five years. If a degree is not re-accredited, students already on an accredited programme will not be disadvantaged and can expect guidance and support from the accrediting professional engineering institution. Accredited programme status indicated on this database only applies to programmes delivered at the main campus of a listed university, unless otherwise stated. Graduates from the same programme at a different location will hold a non-accredited degree for the purposes of registration, unless it is explicitly stated in the note below the programme record, or on a separate record related to their location of study, that it is accredited. A programme accredited as ‘further learning’ or with ‘further learning required’ does not on its own meet the academic requirements for registration or international recognition. Please see FAQs: Academic Qualifications for information about further learning. You can check the accreditation status of any UK engineering degree on our Academic Courses Accreditation Database. Occasionally information published elsewhere, for example on UCAS, Unistats or a university website, does not reflect the information on the database. This may happen if accreditation has expired, a university has requested accreditation or re-accreditation but a decision has not yet been made, or if there has been an error. If the degree you are interested in is promoted as being accredited but is not listed on the database for your intended intake year, you are advised to check the accreditation status with the professional engineering institution shown as the accrediting body in the promotional material. Some entries on the accredited courses database include specific requirements in the public note section. Employers and accreditation agencies with specific requirements, for example about which modules are studied, may also wish to ask for an individual’s degree transcript or Higher Education Achievement Record (HEAR) to check such details. All honours degrees accredited for CEng registration from intake year 1999 also meet the requirements for standard route IEng registration. Integrated Masters (e.g. MEng) degrees accredited for CEng registration include the outcomes of accredited Bachelors (Honours) degrees and go beyond to provide a greater range and depth of specialist knowledge, within a research and industrial environment, as well as a broader and more general academic base. The Sydney and Washington Accords apply to accreditation within the jurisdiction of the signatory. In the case of the Engineering Council this means universities in England, Scotland, Wales and Northern Ireland. If you studied in the jurisdiction of another Accord signatory you should contact that signatory for further information. If you studied in the UK first check which Section your programme is accredited for. This will be Chartered Engineer (CEng) registration or Incorporated Engineer (IEng) registration. This is shown at the top right hand side of each programme entry in the database. * Eg if the Public Notes state “further learning required from 1999” and you started your programme in or later than 1999, it can be recognised under the Sydney Accord. If you are interested in a degree that is not listed here, you are advised to contact the university to confirm its accreditation status. It is possible that there has recently been an accreditation visit and a decision is pending, or that the university is about to apply for accredited status for the degree. Occasionally, accreditation may be backdated. However, it is not a requirement that an engineering degree is accredited and sometimes a university decides not to seek this. These qualifications are not listed on this searchable database. HNCs and HNDs which have been accredited can be found under useful documents at the bottom of this webpage, titled 'Accredited Higher National Certificates and Diplomas’. The document ‘Higher Nationals’, also under useful documents, explains their status for registration. If you achieved your qualification some time ago, it may be listed as a recognised course. 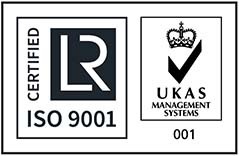 This means it is deemed to be equivalent to an accredited course and fully satisfies the education requirement for IEng/CEng as noted in the individual course record. The recognised course search can be accessed via useful links. A number of BEng and MSc degrees in Professional Engineering, designed for working engineers who aspire to IEng or CEng registration, have been developed as part of the Engineering Gateways programme. These programmes use individual workplace learning contracts to plan learning that leads to the achievement of a qualification that meets the academic requirements for professional registration and supports development of competence required for professional registration (UK-SPEC). The bespoke nature of the learning means that it is not possible for these programmes to be accredited. They are recognised by participating PEIs and the Engineering Council as a planned pathways towards registration. Degrees that are recognised in this way are offered by a number of participating universities. You can check with the university for further details.